Truck drivers are responsible for following federal and statewide regulations to ensure their own safety and that of other drivers. When trucking regulations are broken, it can lead to serious accidents accompanied by devastating, long-term injuries. Because regulations and insurance coverage requirements for truck drivers are separate from those of normal vehicles, you need a lawyer who can help you determine which rules were broken to prove that the truck driver, owner of the truck, or company that leases the truck are liable for your injuries. Lawyer Scott Sumner offers free consultations for trucking accident victims at his law firm serving Walnut Creek, CA, and the surrounding areas. To discuss your case with Mr. Sumner, submit an online contact form or call us at (925) 278-6170. Truck size and cargo weight: The state has limits on vehicle loads for different types of commercial vehicles. If this weight is exceeded or if the truck is improperly loaded, it can lead to dangerous accidents such as rollovers and jackknifing. Hours and rest requirements: Drivers frequently skip mandated breaks or exceed the number of hours they are allowed to drive in order to meet their quotas. As a result, they can drive while extremely exhausted and cause accidents. Studies have shown that driving while fatigued is just as dangerous as driving under the influence. Basic qualifications: In order to become a commercial truck driver, drivers must have a high school diploma or GED, possess a clean driving record, maintain a commercial driver's license (CDL), pass a medical examination, and be able to communicate well in English. Hiring: When hiring applicants, companies should thoroughly evaluate a driver's work history, criminal record, and any history of drug or alcohol use. Failing to do so can lead to unqualified drivers on the road. Training: Many companies skip extensive training in order to quickly fill open positions. 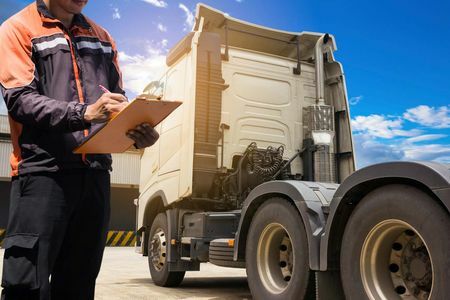 An undertrained truck driver may drive more than allowed, skip mandatory rests, or unsafely carry hazardous materials, which can all create dangerous situations in which accidents can occur. In order to build a strong case supporting your claim that recklessness or negligence led to your accident, Mr. Sumner studies various regulations set by agencies including the Department of Motor Vehicles, California Highway Patrol, and others. Mr. Sumner works efficiently to compile evidence, demonstrate that regulations were broken, and help victims of truck accidents recover compensation for their injuries. Commercial vehicles are required by federal law to have insurance that covers a minimum of $750,000 in liability. This insurance can be used to cover damages and injuries in the event of a collision. Depending on the type of cargo that the truck is responsible for, the state may also require additional insurance. The driving records containing valuable evidence are usually disposed of after a few months. Therefore, time is of the essence in your case. Mr. Sumner works efficiently to compile evidence, demonstrate that regulations were broken, and help victims of truck accidents recover compensation for their injuries. To schedule your complimentary case review today, call our firm at (925) 278-6170 or message us online.